Dr. Jeff Knight is a chiropractic physician who works to help people tap into their natural ability to heal. His multi-therapeutic approach includes functional medicine, functional neurology, muscle activation, brain and cellular detox, and more. 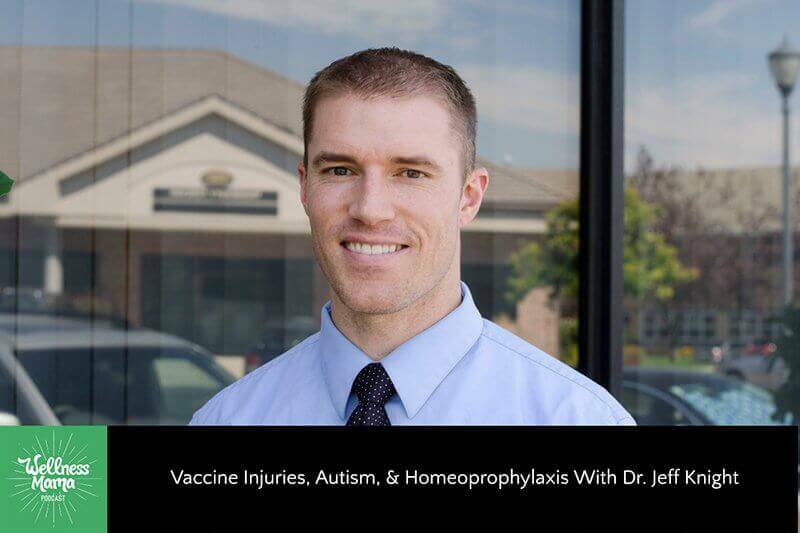 Today I’m talking to Dr. Jeff about a much-requested and highly controversial topic that every parent has had to weigh: vaccination. Let me start by saying that our goal in this episode is not to discuss whether to vaccinate or not. Instead, we’re bringing up important questions to consider so we can give vaccines the same careful thought we give to other areas of health. Bottom line, we’re certainly not judging any parents for their decisions one way or the other, since we are all trying to educate ourselves and do what’s best. Homeoprophylaxis: is it a viable vaccine alternative? Did we miss a question you wanted answered? Let us know! Please drop a comment below or leave a review on iTunes to let us know. We value knowing what you think and this helps other moms find the podcast as well.